Greetings, friends. I returned on July 4 from a seven day vacation with Mary Lou and my granddaughter, Bailey. Four days later I was in Atoyac, near Acapulco, being about my Father’s business. I was needed in Atoyac to pray for and minister to the sick, and to encourage the church there. I returned home in time to celebrate Mary Lou’s and my birthdays, and next week I will be back in Chiapas, once again being about my Father’s business. 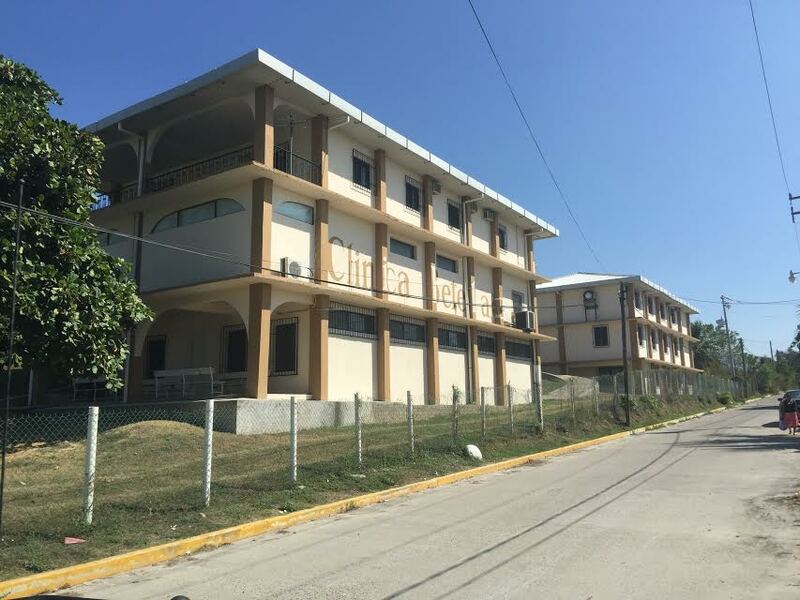 While there, we will put the finishing touches on a new church building, and on the 7th a group from Louisiana will arrive and we will build another mission church. Right after that I will return to the states and minister in Texarkana, then Labor Day Weekend we will be at Family Life Church in Lafayette, Louisiana, then visit other churches and pastors before returning to Mexico to celebrate the quinceanera for Pastor Moises daughter. But wait! There’s more! After the Mexico trip I will travel to Florida to celebrate a wedding, then return to Mexico the second week of October to build another mission church with a group from Springfield, Missouri. The rest of the year I will be in the state of Oaxaca, working on the new headquarters there. Not a bad way to begin my 81st year on earth. Yes, it is a busy schedule, but the focus really is to be about our Father’s business. Obviously I’m not the first, nor will I be the last, to be concerned about the business of the Lord. Isaiah wrote, “Then I heard the voice of the Lord saying, ‘Whom shall I send, and who will go for us?’” Isaiah responded, “Here am I, send me” (Is. 6.8). In Acts 13.2, while the prophets and elders were in the middle of a church service, “The Holy Spirit said, ‘separate for me Barnabas and Saul for the work I have called them to.” The work of being about the Father’s business. As I pass the milestone of my 80th birthday, I want to thank each of you who have “been in the business” with me for these past 38 years. Together, we make a good team, and what more rewarding enterprise is there than being about our Father’s business? The Scriptures teach us that God knows the end from the beginning. He told Jeremiah, “Before I formed you in the womb, I knew you.” From where God sits he sees it all. He saw the entire lives of Abraham, Joseph, Moses, and all the other figures in the Bible. I was born on July 30, 1937, and God looked from his throne into that New Orleans Charity Hospital room and saw the path I would travel, who I would become, what I would do. And I believe that he not only saw it, he had a hand in planning it. I believe God planned the first works I would do in northern Mexico. He planned the next phase of ministry in Atoyac, Guerrero. God called, prepared, and brought alongside me people like Tom and Deanna Shaffer who would help build and operate the medical ministry in Atoyac. I am amazed as I think of all the young doctors and dentists preparing for medical careers, not knowing they would be mightily used to care for the poor in Atoyac and throughout Mexico. From where God sits, he saw my need for help and he raised up a team of financial supporters who faithfully support Mexico Ministries to this day. 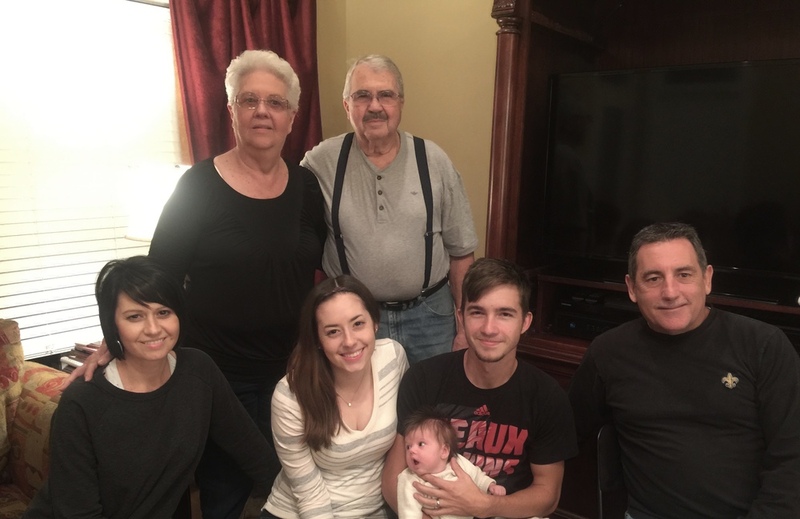 When I first ventured into full time missionary work in 1978, Russell Linscombe was a young man working in the family business in Lafayette, LA. Paul Pogue was struggling to establish a contracting business in north Texas. They could not have seen their futures, but God could. Russell joined himself to the work and became a great missionary. Paul is a dear friend and a faithful servant to the ministry. I didn’t foresee a work that would cover the state of Chiapas. But from where he sits, God saw. He sent me there 28 years ago, and he sent Carlos Tovilla, Jose, Victorio, Alex and Octaviano - men who would work beside me and be a tremendous help. Thank you for being part of a work that is bigger, better, and more wonderful than any of us can see. But God can! A few weeks ago I was in Tuxtla, Chiapas and saw a man on a street with a sign asking for help, so I stopped and visited with him. He is 39 years old, has a family, and needs work. But no one will hire him because he has a huge hernia, the largest I have ever seen. Some say why get involved? I say, why not? We all know the parable of the Good Samaritan - a man gets ambushed by robbers, beat up, and left for dead. A priest and a rabbi walked by and thought, why get involved? But a Samaritan (an outcast as far as the Jews were concerned) came upon him and thought, why not? He had compassion on him and got involved. Jesus always got involved. He got involved with the Samaritan “woman at the well” who had already had five failed marriages and was living with a man not her husband. No self respecting rabbi would come near that situation, but Jesus did. And as a result, “many of the Samaritans in that city believed in him” (John 4.29). Proverbs 19.17 declares, “The one who is gracious to a poor man lends to the Lord, and He will repay him for his good deed.” And then, “He who gives to the poor will never want” (28.27). And toward the end of the book we read, “How blessed is he who considers the poor. The Lord will deliver him in the day of trouble. The Lord will protect him and keep him alive” (41.1). So, we are getting involved with the hernia afflicted man on the street corner. We are going to help him with his life. We are also getting involved in Tuxtepec, Oaxaca, by building a new church and base of operations in that area. We have purchased land, are drawing up plans for the building and applying for the necessary permits. By the time you read this letter the “dirt work” will have started on the site. We need and appreciate your support for this new project that gets involved in changing people’s lives with the Gospel being demonstrated in both word and action. On the flip side of this letter are some pictures from the past when we got involved and changed young Nabor’s lives forever. This has been the calling of Mexico Ministries from day one, and that call is stronger now than ever before. The church in Atoyac, our first major center of operation, will be the model for the new work in Tuxtepec. Today I am in the town of Atoyac in the southern Mexican state of Guerrero where thirty five years ago we built our first headquarters. With me today are Pastor Carlos from Tuxtla, Chiapas, and Pastor Cesar from Tuxtepec, Oaxaca.We are here measuring the dimensions of the church we built decades ago with the hopes of duplicating the same plan in Tuxtepec. In a few days I will return to Chiapas where I left Mary Lou and we will go up to Chenalho and select sites for a couple more churches to be built this summer. I also sent money to Pastor Moises in Nuevo Laredo to put the finishing touches on a new church there, as well as finances to finish a small house we are building for a needy family there. When the plans for the Tuxtepec church are ready we will submit them to an engineer for approval and get a permit from the city to begin construction. I am sure that much of the remaining months of 2017 will be spent on this project. We are receiving positive feedback from friends and supporters regarding making this dream a reality. Everyone realizes that we have not lost the vision and the calling that God put on our hearts over 40 years ago, “to bring good news to the afflicted, to bind up the broken hearted, to proclaim liberty to the captives and freedom to prisoners, to proclaim the favorable year of the Lord” (Isaiah 6.1-2). Some of you were with us when we built our very first Bible school in San Jose in northern Mexico where we hired local labor (for 25 cents an hour!) to help us dig a hand dug well. In the early 80’s many of you stood alongside us when we built the complex in Atoyac. In the early 90’s you supported us when we built the compounds in Chenalho and Tuxtla, Chiapas. So many of you have now told me, “We’ve done it before, and we can do it again!” With the help of our Lord, some hard work, sweat, pain, patience, and a lot of money, we will do it again, and when it is all finished no one will boast or receive honor, glory or praise - that will be for God and God alone. It is a joy doing business with God, and a pleasure doing God’s business with you. I pray all is well with you (really - I do regularly pray this) and thank you for the many years that you have walked with me in the mission field. 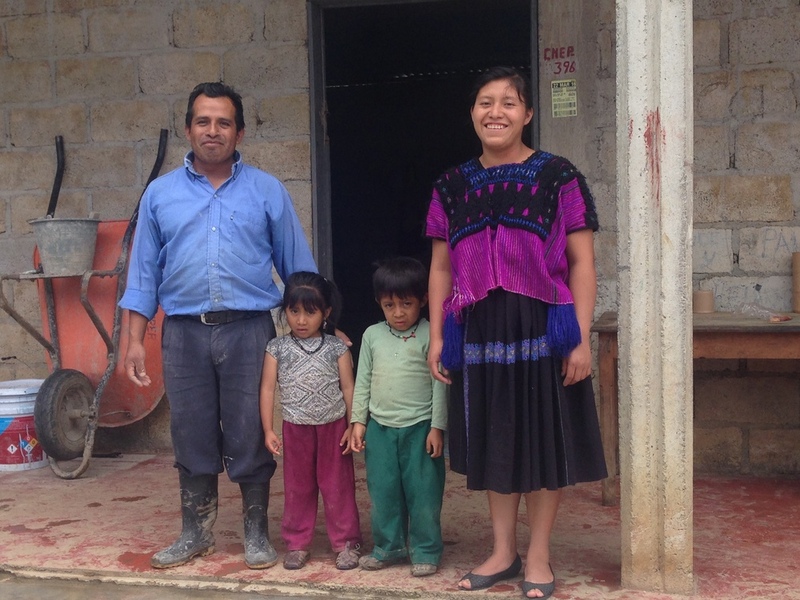 I just returned from Chiapas where we worked on a new home for Miguel and his family; I will tell you more about this next month. On the same trip Pastor Carlos, Paul Pogue, and I drove to the state of Oaxaca where we had to cross the Papaloapan River to reach the city of Tuxtepec, where we purchased a piece of property on which to build another major church and headquarters. This “mother church” will provide a base of operation to reach into the states of Oaxaca, Veracruz, and Tabasco. Now, Carlos is already leading a powerful ministry in Chiapas, Paul Pogue is 68 years old and should be shopping for a rocking chair, and I will turn 80 in July. So why are we doing this? Because we all sensed God directing us to. There is no guarantee of quick and easy results from our decision; it took over 30 years to establish the works of the headquarters in the states of Guerrero and Chiapas, and now both have vibrant and far reaching ministries. We cannot guarantee success, we can only do what God directs us to do. He is the one who gives the increase, our responsibility is to be obedient to his call. Jesus told the disciples who had fished all night and caught nothing to cast their nets on the other side of the boat. Their responsibility was to be obedient. God was the one who filled the nets with more fish than the nets could contain. As we crossed the Panaloapan River and stood on the property that will become a new church and headquarter, I looked toward the mountaintops and wondered, how many villages are out there? How many people who have never heard the Good News. In the Parable of the Good Samaritan, three men saw the man lying by the side of the road. Only one saw the need and stopped to render aid. If we cannot see the need, we will not respond. My prayer is that God open my eyes to see, and my heart to feel, and my mind to respond, to the needs in this territory. For the next many months I will be in and out of Tuxtepec working on the new vision, not forsaking what we already do in Chiapas and the rest of Mexico, but expanding the labor as God provides. In a few days I will be in Nuevo Laredo, then Monterrey, and then back to Chiapas. Please pray for my strength, that I not only am able to begin the work, but to also finish it. And one day not too far away, I hope that many of you will be able to see with your own eyes what the Lord has done in Oaxaca. Greetings in the love of Christ. As you know from the last newsletter, my daughter in law Shirley passed away on January 9th. On the 29th I flew to Chiapas and an hour and a half after landing received a call from Mary Lou saying that my younger sister Florence had died. 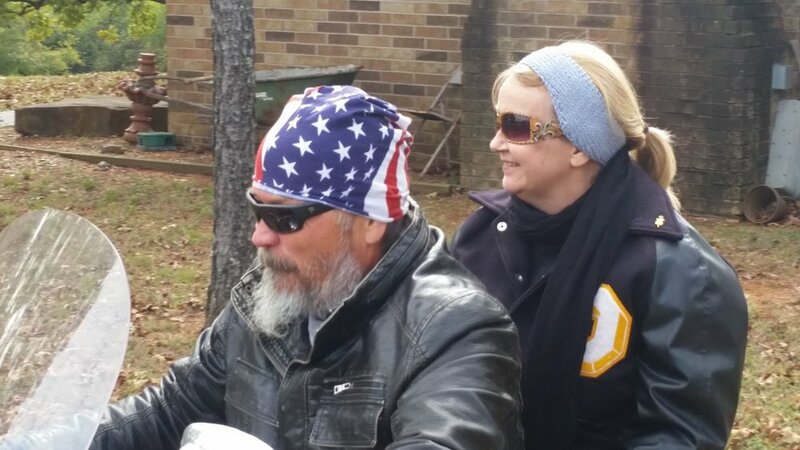 I took the next plane home, then drove 400 miles to officiate the funeral along with my brother Roger. By the time you receive this letter I will be back in Chiapas continuing the work of ministry there. A few weeks ago I talked with a ministry friend who felt he had accomplished very little compared to others. He had never built a large church or grown a powerful congregation, he had never even had the finances to properly care for his family. Perhaps he even felt a little unworthy of his calling. In Luke 15 Jesus tells the story we all know about the Prodigal Son who squandered his inheritance on careless living while his older brother stayed home being the responsible one. Destitute and at the end of his rope, the dirty, hungry, miserable son left the pig pen saying, “I will go to my father and say I am no longer worthy to be called your son.” But, in the eyes of his father (who is a picture of our Father in heaven), he was and always will be worthy. Jesus saw a rich man and a poor woman giving their gifts at the Temple one day (Luke 21), and while others might think the rich man more honorable and important, in the eyes of Jesus this poor woman who gave two pennies was just as worthy. Jesus also tells us of two men going to pray at the Temple (Luke 18). The Pharisee boasted of his own righteousness, but the tax collector lowered his head and cried out for favor - “Be merciful to me, a sinner.” It was the tax collector who went down to his house justified, Jesus said. Worthy. Never compare yourself to someone you deem more successful or somehow better than you; and never look at someone who struggles more than you to achieve their goals and life and think you are better than them. We each answer to our Master, and he is someone who so loves the entire world - counts the whole of creation worthy enough - to send his only begotten son that the world through him might be saved. And if God himself deems every soul worthy of his own shed blood, who are we to dismiss someone as unworthy? Do you know what worthy actually means? It means valuable; “of worth.” Whatever place you find yourself in life, you are of great worth and you are loved of God. I’m Kenneth Myers, son of Larry and Mary Lou, and Dad asked me to write the newsletter this month. 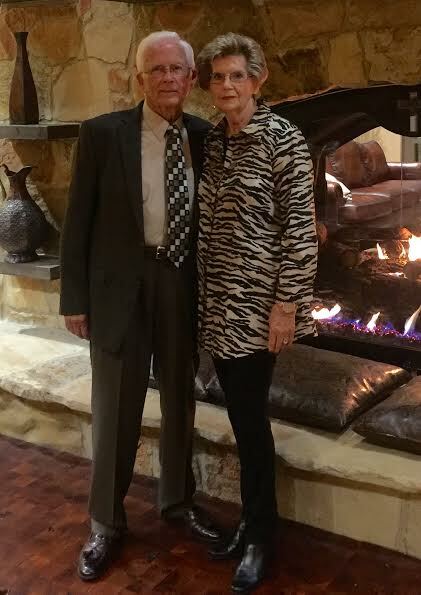 Most of you know that my wife Shirley has served as secretary and office manager at Mexico Ministries for decades. She’s the one who helps with correspondence, bookkeeping, and making Dad’s newsletters actually make sense! What you may not know is that on Christmas night she went into the hospital with double pneumonia, and on January 9, after two weeks in the hospital, she unexpectedly passed away at the age of 58. My father was studying in Genesis about Jacob and Rachel, about how Jacob was smitten with her, and how she was, “beautiful of form and face.” I’m here to tell you that Rachel didn't hold a candle to my Shirley Mae McSorley Myers. 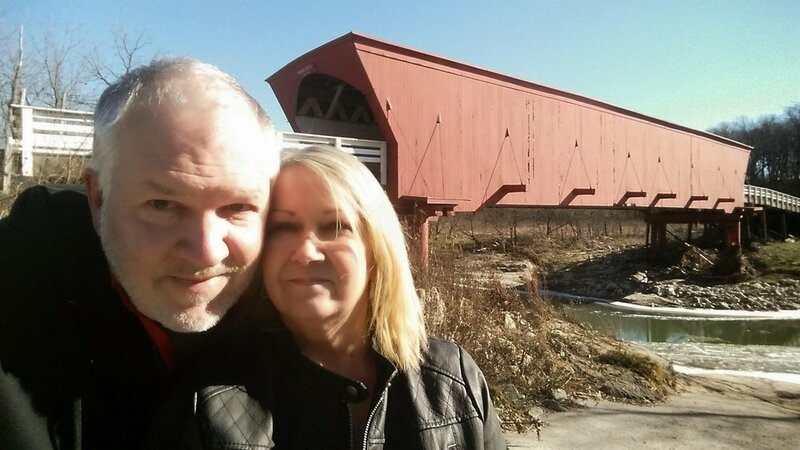 We met when I was 17 and married when I was 18 and this summer would have celebrated 40 years together. I have been incredibly blessed by God to be married to a woman who was on the one hand godly, caring, selfless, sacrificial, wise and gifted, and on the other hand a woman who was gorgeous, fun-loving, free-spirited, and adventurous. She was, as they say, the whole ball of wax. I hit the jackpot with Shirley. Demure and unassuming, she was often in the background, but her touch, her ministry, her giving of herself, can be found all over the life of Mexico Ministries, not to mention our family’s. She will be deeply missed and I request your prayers for me, for our children and grandchildren, for Mom and Dad, and for all who knew and loved her. We are amazingly fortunate that she is being buried right here on our family land, just down the hill from our homes, so I’ll still be able to walk down and have morning coffee with her and the grandkids can visit Grandma when they come up to see PaPa. St. Paul tells us that Christians, “do not grieve as those who have no hope” (1 Th. 4.13), but we still do grieve! It’s just that our grief is tempered by “the sure and certain hope” of the resurrection that awaits us in Christ. Until then, I will continue with my teaching ministry of Graceworks, I will help out Mexico Ministries by trying hard to fill Shirley’s shoes around here, and we will all keep pressing on. And now I have an even greater reason to yearn for “the restoration of all things as spoken by the prophets” (Acts 3.21). So pray for us, and let us keep pressing on to the higher calling of the Lord, and that day of blessed reunion for which we yearn. Oh - and you husbands - love the fire out of your wives. Greetings on this, the last month of 2016. It has been an amazing year for Mexico Ministries. One of the best. I look forward to another amazing year in 2017. Today, I am somewhat disturbed by the ever growing division in our country. It reminds me of the contempt leading up to the Civil War here in the US. The North fought against the South, and South fought against the North. Brother against brother, father against son. Great was the division, and great was the suffering and pain caused by that war. I thank God the division that separated us was healed and our nation was united once again. One nation, under God with liberty and justice for all. The Scripture says, “The love of money is the root of all evil.” I think there is another root. Deep controversy that causes division and separation. Cain killed his brother Abel, and the family was never the same again. Jacob stole his brother Esau’s birthright, and Esau vowed to kill Jacob. Isaac’s family was never the same again. Joseph was sold into slavery by his brothers. The family would suffer for many years. For the sake of our children, our nation and our world, pray for unity and peace. There are only a few weeks left before Christmas. I pray this to be one of your best Christmases ever. I pray for unity in your family, your church and most of all, in your walk with Jesus Christ our Lord. Soon I will be back in Mexico where I will reach out to the children, the families, the churches and the nation of Mexico, praying for unity and peace. Thank you for helping make 2016 such a great year.HAVE A MERRY CHRISTMAS AND A HAPPY AND PROSPEROUS NEW YEAR! Greetings from Chiapas, Mexico, where I have just spent a full month completing five new mission churches. Thanks to the five groups of Americans who came and helped. Why did we do it? Because we could! We saw the need, and we responded to it. Building houses of worship is a great priority of our ministry, but it is not the only one. Like our Lord Jesus Christ, we are touched by the feelings of others’ infirmities. (Hebrews 4:15) Jesus loved Jerusalem and her people, even though they killed the prophets and stoned those sent. (Luke 13:34) He loved them and wanted to give them a better life. In the last few days of His life, the Scriptures say “When He approached Jerusalem, He saw the city and wept over it. (Luke 9:41) Our Lord had so much compassion for hurting and needy people. Even for the children. When they brought the children for Jesus to lay hands on them, the disciples rebuked them, but Jesus said, let the children come. He took the time to bless the children. Leaving Jericho with a very large crowd, Jesus heard the words, “Jesus, son of David, have mercy on me.” Many told the man to be quiet. Jesus stopped and called him to himself. He healed the blind eyes of Bartimaeus. In Mark 5, there is the story of a woman who had lost all hope, having spent all that she had on physicians. Hearing about Jesus, she said, “If I just touch his garments, I will get well.” She touched His garment, and immediately, she was made whole. Jesus always had the time to help hurting people. A few years ago, an old man gave us a small piece of his property to build a mission church. The nearest church to him had been some five miles away, which he walked every week. 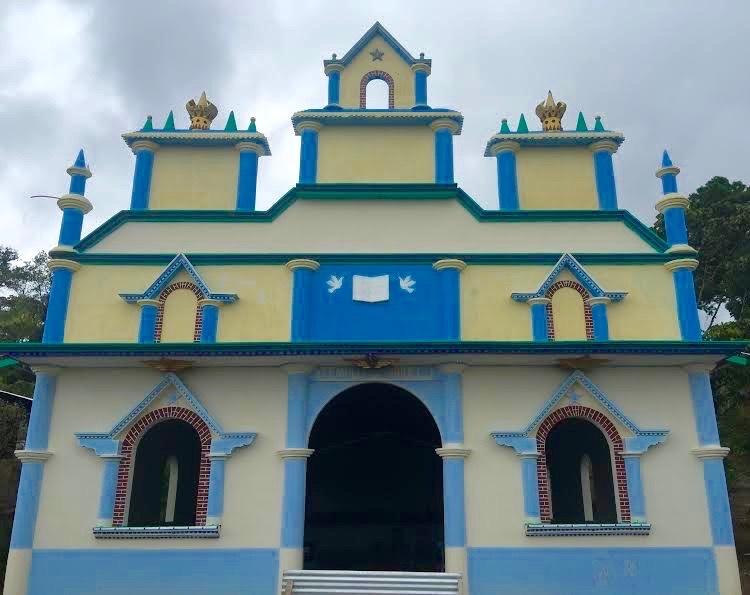 The church was completed and we gathered around and laid hands on the building, dedicating it to our Lord. The old man laid his hands on the front wall and then cried like a small child. I looked around and every American man was also weeping, perhaps with the same compassion that Jesus had for Jerusalem. My petition to the Lord is to let me be touched by the needs of hurting people and respond with the same compassion of our Lord Jesus Christ. I received a call from a Mexican pastor asking, “Can you help me bury my mother?” I responded and met his need. A pastor called and was in need of knee surgery. Again, I responded and met his need. So many have done so much more than I. In Luke 10, a man fell among robbers who beat himand and left him half dead. Two religious men passed by but offered no help. A third man, a Samaritan, saw him and felt compassion and went to him. He bandaged his wounds, took him to an inn and took care of him. The next day, he gave money to the innkeeper and asked that he take care of him, saying “whatever more you spend, when I return I will repay you.” (Luke 10) My type of man. Some say, “Enough is enough. When will you stop?” Perhaps, like Stephen as he was being stoned and gazed intently into heaven, I see the glory of God and Jesus standing at the right hand of the Father. Perhaps when I hear him say, "Welcome home thou good and faithful servant. I have a feeling there is still much more we will do together. Thank you for helping in all that you do. God bless you and meet your every need. Greetings! Scripture tells us to go and make disciples of all nations. Today, I would like to introduce you to my first convert and disciple in Atoyac, a town about an hour northwest of Acapulco. When I met him he was a young man in his early twenties. Julio and his beautiful family are pictured on the following page in a restaurant in Mexico City celebrating his 58th birthday. When we see a family like this, we tend to think how lucky they are. How healthy, wealthy and wise, and we may even wish we could trade places with them. There are many things you cannot see in this picture. So, before you wish that, let me tell you a little bit more about Julio. I am thankful that God gave me the opportunity to be a part of this man’s life and a part of his walk with God. At the end of this month, I will be back in Chiapas preparing to build five new missions. We have five groups coming in October. Money has already been sent to purchase the building materials, to have the foundations and floors poured, to have the blocks laid. Money has been sent for the roofing, the paint, the benches. And I know when we have completed the work, we will walk away satisfied that we have done our best. Yesterday I asked a friend to get a few other friends and supporters together for a luncheon. I asked him to tell them that this would not be a fund raising event, but rather an opportunity to thank them for what they have done for Mary Lou and I and the people of Mexico. I hope to do the same in other areas before the year’s end. I wish it were possible to sit down and have lunch with each and every one of you as well, but time and distance make that impossible. I can only say, “Thank You” a million times over for who you are and what you do. As I often say, life is short. Live it to the max. Keep it clean. Love family and friends. And in the end, you will have no regrets. Once again I send you greetings. Once again, I quote the words of our Lord Jesus. "Go, therefore and make disciples of all the nations." 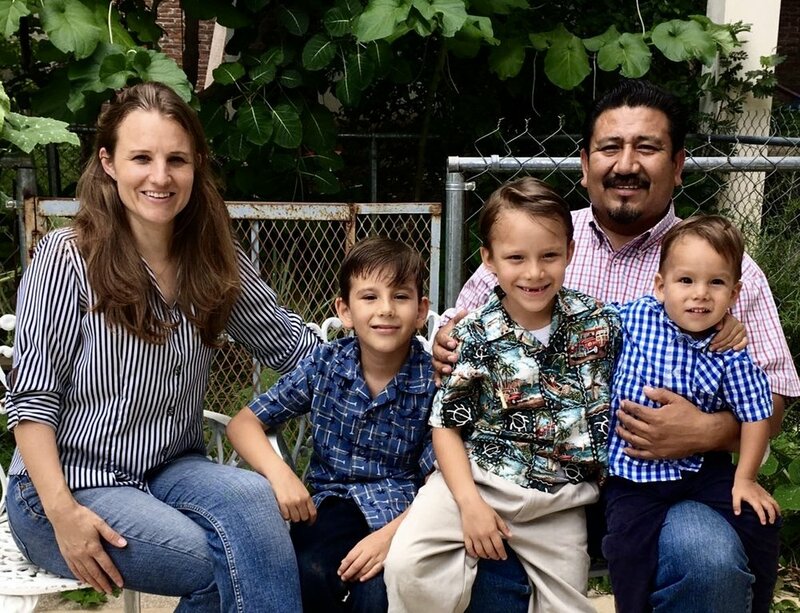 And today, I send you pictures of Pastor Carlos Tovilla Cortez and his family. Seeing Carlos and his family in a restaurant, you would think they were, "healthy, wealthy, wise and blessed". 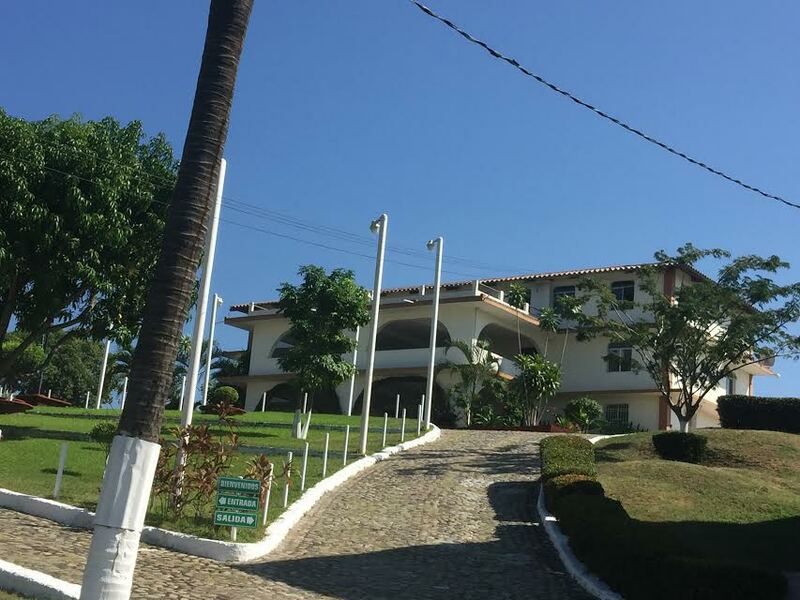 Seeing his ministry compound in Tuxtla, you would admire the beautiful church, the medical and dental clinic, the gymnasium and dormitory. Carlos is president of all we do in the southern part of Mexico. He is responsible for more than three hundred credentialed ministers, each of whom meet with him annually to give a report of the past year and share their vision for the year to come. Yes, knowing all this, you might even wish you could trade places with Carlos. But, before you step into his shoes, let me share with you about the road he traveled to get to this place. I first met Carlos in 1989 when he was a young man in his twenties. 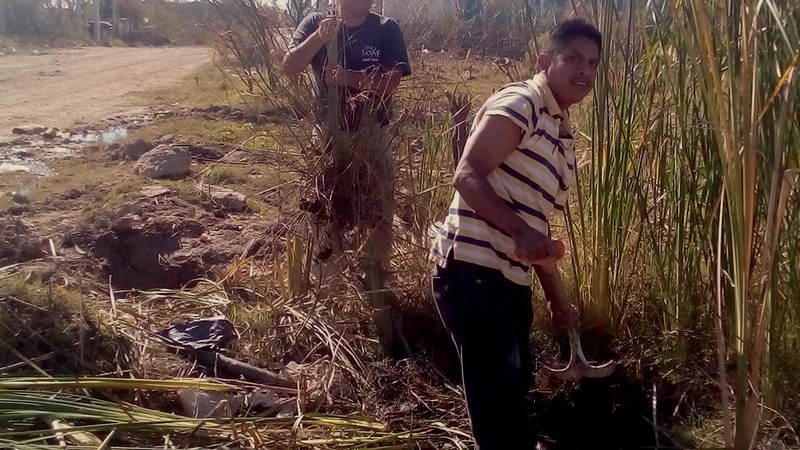 After studying engineering at a university in Tuxtla while assisting a pastor in a very small Tuxtla church, he left his career to become a preacher. 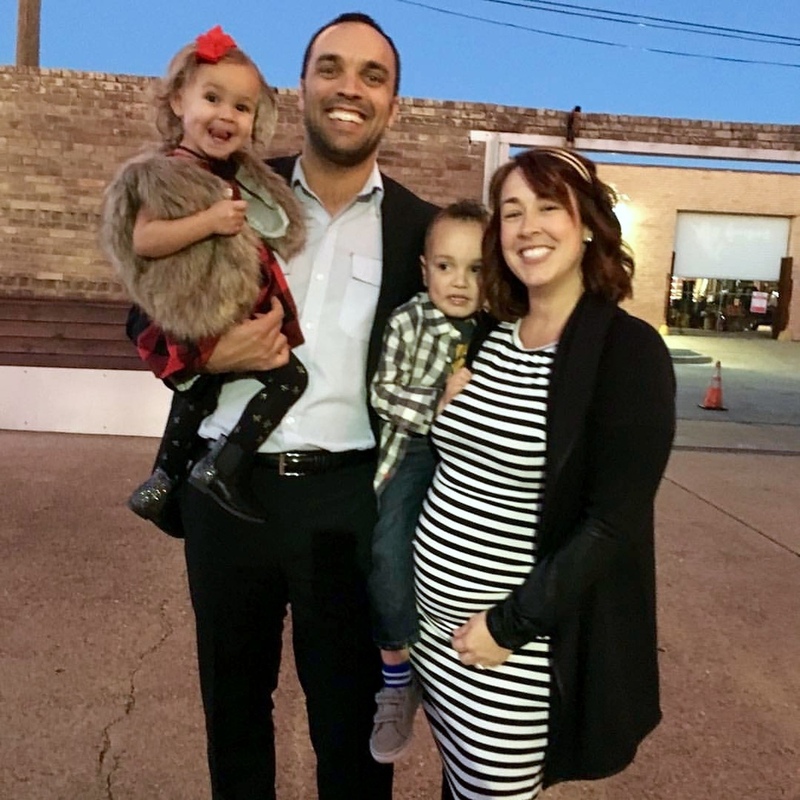 At a young age, he married the daughter of this very legalistic pastor. The pastor resigned, leaving the little church in Carlos' hands. Soon afterward, Carlos’ wife said, "I don't want to be a preacher's wife,” and she asked for a divorce. The following Sunday, Carlos stepped up to the platform and asked the congregation to turn to Psalm 23, and then he preached from that chapter. He announced to his people, "I have just entered into the valley of the shadow of death. I do not know how deep or wide or long it will be". He continued to pastor that church. Ten years passed before he was able to go to the platform and say once again, "Turn with me to Psalm 23". He was finally able to tell his people, "I have just exited the valley, and I invite you all to my wedding in two weeks." I officiated at the marriage ceremony of Carlos and Barbara on November 11, 2006. Carlos is loyal. 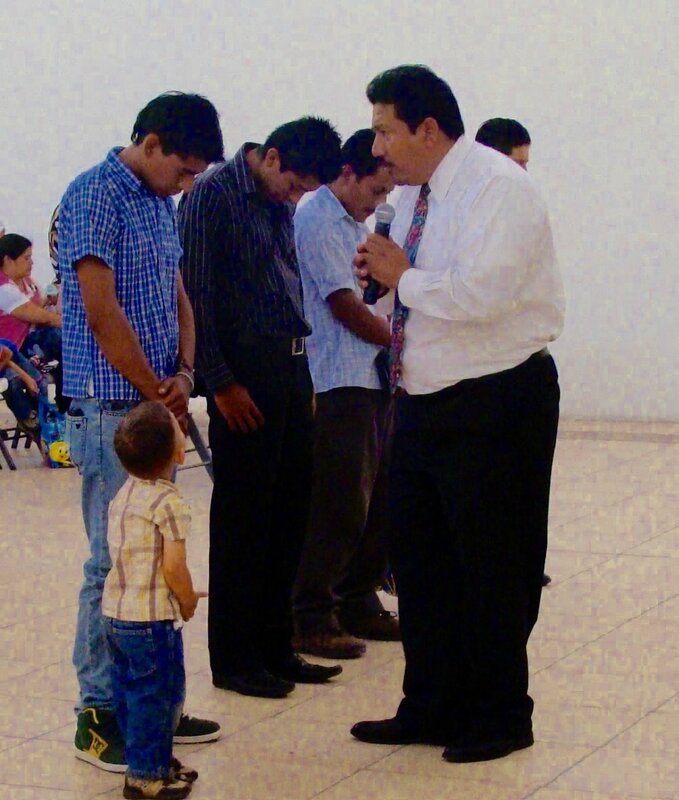 He has helped build every church that we have built in the southern part of Mexico. Once we were sitting on the side of a mountain, and he said, "You do not know how much I care for you. I would give my right arm for you." Carlos is steadfast. A few years ago, he and a couple of young men from the Tuxtla church were driving to the northern part of Mexico to purchase a vehicle when they were stopped by members of a crooked military and members of the drug cartel. They were placed in hand cuffs and leg irons, robbed, and taken to jail where they were further assaulted. It cost me $9,000 to get them back to Tuxtla, Chiapas. Yet Carlos continues with his ministry. I thank God for the opportunity and privilege to have a part in the life and ministry of Carlos. I am thankful that I've been able to walk with him through his valleys. 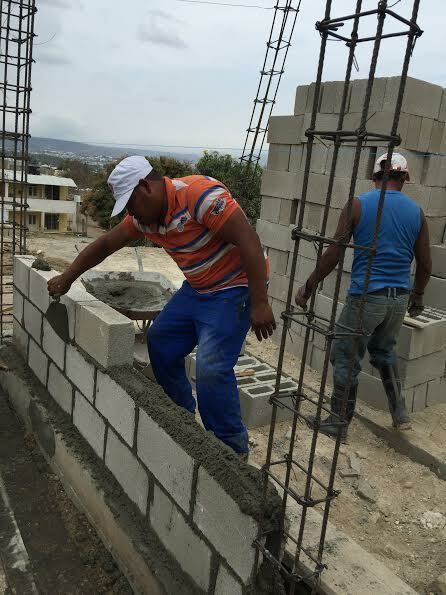 We build many churches and buildings throughout Mexico, but our greatest accomplishment is making disciples. There are many others besides Carlos that I have helped disciple both in Mexico and the US. Each one has their own story. They may all seem steadfast and sure, but that only makes them larger targets for Satan to throw his fiery darts at. They need our prayers. They need YOUR prayers. P.S. Please take note of our new phone numbers below. Greetings! This is a hard letter for me to write, yet I feel that it is very important for me to speak to you about Making the Best of a Bad Situation. I have so many friends and even family members who are going through hard times, bad situations, fighting for their very lives. Some are facing the valley of the shadow of death. To all of you in this situation I say, fight with all that is within you to make your situation better. Never give up, never quit, and never turn back. God has not died. The Holy Spirit has not lost His power. Nor has Christ lost his love for each and every one of us who are going through hard times and difficult situations. Joseph, at 17 years of age, was sold into slavery by his own brothers. That was a bad situation! How many times did David suffer difficult situations? Naomi lost her husband and both sons, but with the help of her daughter-in-law, Ruth, she held on until the storms passed. Take courage from Biblical examples. Mary and Joseph traveled, probably by foot or on a donkey, some 70 miles from Nazareth to Bethlehem. That was a bad situation! Joseph and Mary, who would soon give birth to Jesus, heard the words, "No rooms in the inn." A very bad situation. In those 33 years from the cradle to the cross, Mary would experience many difficult times, but she NEVER gave up. Never have I read of a man who suffered as many bad times as the Apostle Paul. Yet he wrote, "His grace is sufficient. "Stephen was at his darkest moment when he was stoned to death. Yet, it became his brightest moment when He gazed intently into heaven and saw the glory of God, saying, ”I see the heavens opened up and the Son of Man standing at the right hand of God." Jesus, our great example, during the last week of His earthly life, faced a BAD situation. He was beaten, mocked, rejected, spit upon, crucified and buried. But on the third day He was resurrected and is seated at the Father's right hand. (Romans 8:34) He is still at the right hand of God interceding for us. We all see the wounded returning home from war, parts of their bodies blown away. I hurt for them. Some are in wheelchairs, others are learning to use prosthetics, all trying to make the best of their horrible situations. I see Desiree, Mickey, Florence, Danae, Janie and others. And I encourage you all to continue to walk in faith and hold on to hope. If only I could take your place for a time and let you rest from your fear, worry and pain, God knows I would do so. Greetings on this, the first week of July. With the king’s permission, Nehemiah returned to Jerusalem to rebuild the walls which were destroyed in the conquest of Jerusalem. (Nehemiah 4:6) “So we built the walls, for the people had a mind to work.” I saw an example of this attitude three weeks ago. Javier Perez Ruiz is a 36-year-old Tzotzil pastor. Sixteen years ago, he accepted the call to preach the Gospel to his people in Chiapas, Mexico. He went to a village called Yabtechum and began his ministry. He had no house, no family, no car and no church. One thing he did have was “a mind to work” and a heart to love, much like Nehemiah. He built his first church out of wood. It was 16’ x 49’. 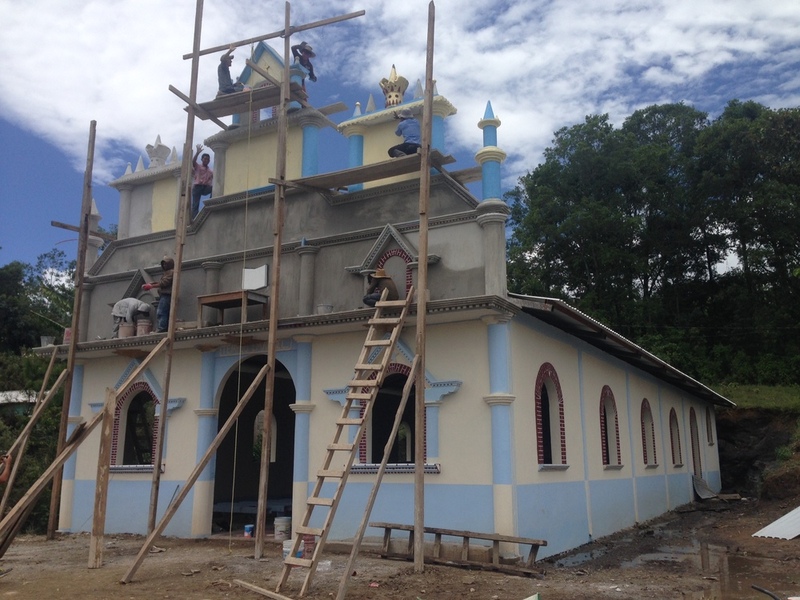 After they outgrew that building, they tore it down and built another wood church, 20’ x 66’. They outgrew that church as well, and they began to build a third church. This time, they had the help of Steve Osborn, his son Justin and a group from a Mennonite church in Kansas who came to help fulfill the pastor’s dream. His new church is really beautiful, built of block and 33’ x 83’. I asked Pastor Javier the number of his congregation. He said there are 180 children and 140 adults. I asked him how he did that, and his answer was perfect. A mind to work, and a heart to love. Pastor Javier is now married. He and his wife have two small children and they live in a small house near the new church. They care for their people. Every time one of them has a need, he and his wife visit their home and pray with them and for them that their needs will be met. No matter what the need. They both have a mind to work and a heart to love. I wish I could see more of that attitude here in the US. Although Pastor Javier’s house is very small, he did not ask me for anything. But, with pleasure I have already sent money to begin enlarging his home. I was there with them only four weeks after having knee surgery. Why? Because, like Javier, I have a mind to work and a heart to love. That trip reminded me of a question asked of me a few years ago by a visiting US pastor. He asked, “When you go home, where do you get your food?”. (Referring to where we go to church for spiritual food.) I answered, “When I go home, I am not hungry”. When I see the mind to work and the heart to love, somehow it’s very fulfilling to me. Thanks to Steve for his financial help. Thanks to his son Justin, the youth pastor at a Mennonite church, and thanks to the entire group who came with a mind to work and a heart to love. P.S. A pastor in Durango, Mexico is in need of a used half-ton pick up or van in good condition, preferably a model between years 1995 and 2006. Please be in prayer about this need. God bless you all. Greetings, and welcome to the journey. When we plan a trip, we look at our calendars, check our finances, and determine when and where we will go, and for how long. But, unlike these trips, LIFE’S journey is unpredictable and takes us from the highest heights to the deepest depths. In Exodus 3, God said to Moses “Come now, and I will send you to Pharaoh so that you may bring my people, the sons of Israel, out of Egypt.” Thus began the journey of Moses. A journey that would take him to the highest mountains, but also to the lowest valleys. There were times when everything was so wonderful, but there also times when everything was so wrong. In Deuteronomy 34, The Lord said to Moses, “This is the land which I swore to Abraham, Isaac and Jacob, saying, I will give it to your descendants:’ I have let you see it with your eyes, but you shall not go over there.’ Moses died there, and God buried him in land of Moab.” Thus ended the earthly journey of Moses. Genesis 37:28 reads, “So they lifted Joseph out of the pit and sold him to the Ishmaelites for 20 shekels of silver. Thus they brought Joseph to Egypt.” Thus began Joseph’s journey with unbelievable heights and depths. “Then Joseph made the sons of Israel swear, saying, ‘God will surely take care of you and you will carry my bones up from here.’ Joseph died at the age of one hundred and ten years.” Thus ended the earthly journey of Joseph. Now, let me tell you a little about my missionary journey, which began in the late 1970s. My first trip to Mexico was in a borrowed vehicle. I knew no Spanish, and had very little money. I slept in the car, eating sardines and crackers. I started at the very bottom. From there, I went to Atoyac, near Acapulco, where I slept in a borrowed shed overlooking a garbage dump, bathed in a water bucket and watched rats fighting as they crossed the rafters above my bed. I remember wondering aloud, “God, do you even know where I am?” That was my lowest low. But, last year I entered the most beautiful church that I have ever built in Atoyac and read the plaque thanking Mary Lou and I for bring them the Gospel. That was my highest height. Twenty seven years ago, I pitched my one man tent on a hill overlooking Chenalho. I remember wondering, “Why am I here?” But. at the end of our convention there in April, there were 5,600people in attendance. Could there be a higher high than that? And the journey continues. Today I am in Chiapas, building yet another mission church. All of our earthly journeys will end, but that will only mark the beginning of our eternal journey together that will last forever. To the pastors who, even in your difficult times continued to help us, I just want to say thank you. To the business men and women who have helped so much, I just want to say thank you. To the widows who have lost husbands, yet continue to help as though they were still with us, thank you. To the multitudes of groups who have paid their own ways, used vacation time, brought money for building material and then helped build a church, I just want to say thank you. For all who have so generously helped the orphanage throughout the years, giving tens of thousands of dollars each year, I just want to say thank you. To all the natives who took the Gospel to the villages and helped build every mission church, thank you. To all our doctors and dentists, both from the US and Mexico, I just want to say thank you. To all who have helped build the medical facilities and equip them with very expensive equipment, a great big thank you. To all of my helpers, my team who have crisscrossed Mexico with me for 38 years helping hurting people, I just want to say thank you. To the thousands of indigenous men who worked so hard, helping build the churches, carrying 110 pound sacks of cement, mixing it on the ground, then carrying it in five gallon cans to pour the floor, thank you for all you have done. 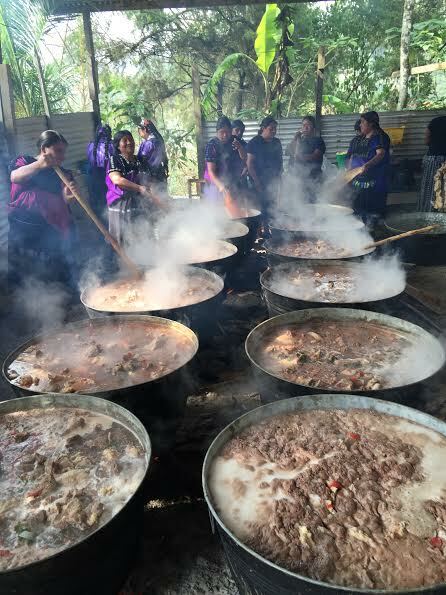 To the women of the villages who cooked for us. I just want to say thank you. To my office staff who have helped so much, thank you. To my wife, Mary Lou, who as a young girl must have had dreams of a very different life, thank you for marrying me. Thank you for adjusting to my primitive way of life, for adjusting to our 20 years of pastoral ministry, for adjusting to our 38 years of missionary life. For adjusting to being alone so many times in those last 38 years, I just want to say thank you. To my children and grandchildren who I often think that I have failed for not spending more time with you, I just want to say thank you. To my Lord Jesus Christ who has had so much patience with me, thank you. The Apostle Paul writes in Colossians 3:15, “Be ye thankful”. In all things be thankful. 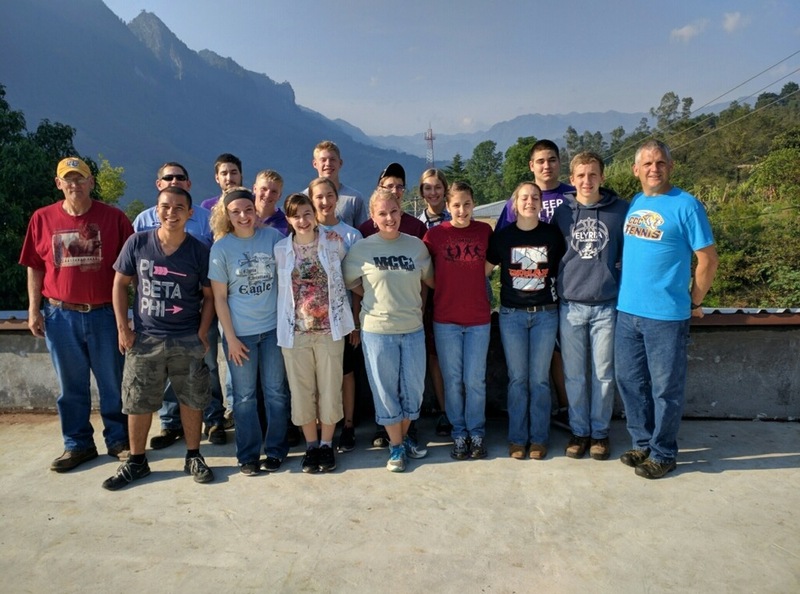 I am often asked the question, “What exactly is it that you do?” Well, last month I finished construction of a new mission church in the mountains of Chiapas, Mexico. From there, some 70 miles away, I completed construction of another new mission church. From there, some 1500 miles to the north, I completed yet another mission church. Later this month, I will build yet another church in another village. And in May I will complete yet another mission church. But, building churches is not all that I do. I help make hills out mountains. 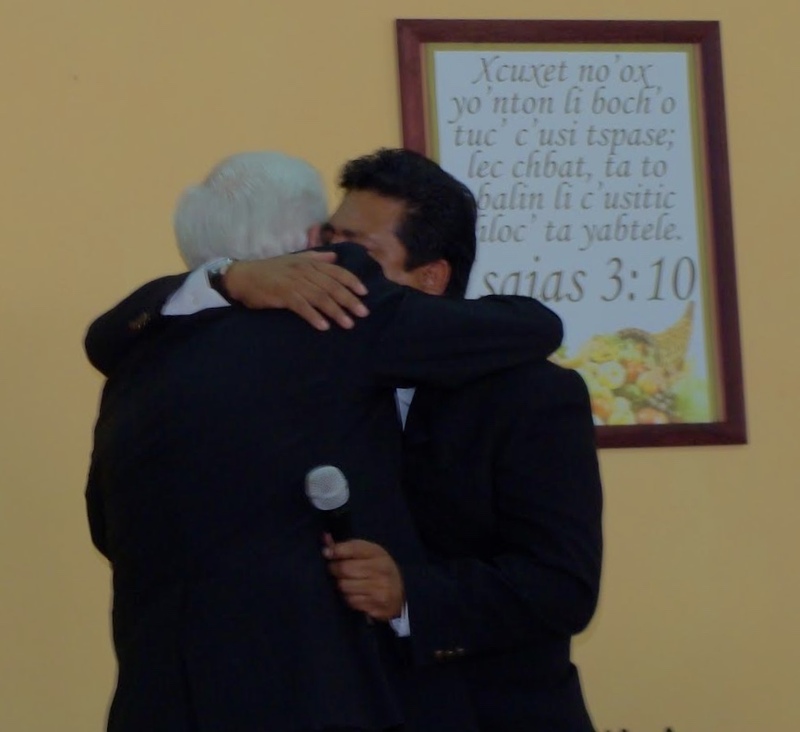 Last month, I visited Pastor Jose, and he shared with me his insurmountable mountain. A 5 year old boy had fallen going up the steps to the second floor balcony. There was no rail of protection. Jose borrowed the money to install a protective rail, and his mountain was how to pay his debt. I payed his debt. Another family had a much higher mountain to climb. I helped make a surmountable hill out of their insurmountable mountain. Another young couple needed help. He makes about $100 per week working as a night watchman, 5 nights a week. I helped. I thought of Mary Lou and her needs when we married. I’ve wished a million times that someone could have helped us climb that insurmountable mountain. I took the group of Americans who were visiting to the orphanage, as I always do. While the director was showing the group the orphanage, I sat down, and the children came and climbed all over me.Running their hands through what’s left of my white hair and pulling the loose skin below my chin. Just needing to be loved. I said to the group, “If I need to build a new church and do not have the funds, I can wait another month, but the orphanage cannot wait a month to feed the children.” We help make hills out of the mountains that the orphanage constantly faces. For the last few weeks, we have been enlarging the dormitory here in Tuxtla, Chiapas. It should be completed in the next couple of months. Always something to do. When I get home, there will be several commitments to take care of. I will be back in Chiapas on April 13 for the convention in Chenalho. I will return home on the 18th for 7 days, and then back to Chenalho to build a church. During my time at home, I will visit an orthopedic surgeon to see if I need to have a knee replacement or if my problem is due to the residual effects of the stroke I had a few years ago. Now you know what I do. And I hope that what you do is going well. I wish I had time to visit with all of you. I pray each day that God bless and help you in your times of storms. Always remember that there is no mountain too big, no valley to deep, no day too long, nor night too dark for God to make a difference. Greetings! This time from Chiapas, Mexico. I’ve been here a couple of weeks and will remain at least another couple of weeks. During this time, I will visit Veracruz in the flesh, in the spirit and in much prayer to see if God wants me to open up another area of ministry as we have here in Chiapas. I may be getting a little old for a project like this, but if He says do it, then I will do it. I certainly covet your prayers as I seek God’s divine will. A few weeks ago, while in Nuevo Laredo, Mexico, Pastor Moises Carranza and I went to visit a pastor whose name is Luis Angel. He had been pastoring a small church that he had built out of scrap wood. The first 5 years, the size of his church was 10’ by 16’. Last year, he was able to double the size to 20’ by 26’. I asked him if he would like a new concrete block church. His eyes grew big and bright as he said yes. I felt God say, “Do it," and so I committed to build a new church will measure 34’ by 54’. I returned home and sent enough money for the foundation and walls and said I would return this month to put the roof on. Maybe you can imagine this. A large river with much drift wood floating until it reaches the dam and there it just piles up. Nowhere to go. This is Nuevo Laredo. People with dreams to enter the United States in hope of a better life come from many southern countries and, reaching the border, just pile up like drift wood. We have teams trying to help them with food, clothing, shoes, and especially the Word of God. This is where the new church is being built. Because of the danger of the drug cartels fighting drug cartels and the possibility of being caught in the crossfire, I may no longer take American groups to this area. Again, I covet your prayers. I also covet your prayers for the people who are there. Families. Children. Fathers and mothers who only want a better life. They arrive here with very little money, little education and few skills. They are not lazy. They are not beggars. They just want a better life. Sometimes it reminds me of the documentaries I’ve often seen about the Dust Bowl of Oklahoma in the 1930s. Starving to death, many headed to California hoping to find a better way of life. There, they piled up like drift wood, much like those arriving in Nuevo Laredo. Most were farmers, all were poor and none were welcomed. It was as difficult for them trying to survive in California as it was trying to survive the Dust Bowl of Oklahoma. Never forget the images of the Jewish people being herded like animals to their death in Germany or the suffering of the “drift wood” on the Mexican/US border. Be grateful, and give thanks to God for what you have. Remember, the best of us are no better than the worst of them. We are all created equal in the eyes of God. I ask for nothing. Not money. Not sympathy. Not things. Just remember to pray for the poor and the needy. Happy New Year! And greetings from Mexico Ministries, our staff and the people of Mexico. Today, I want to focus on the heart of God and the love that is in that heart for his creation. John 3:16tells us that He was willing to give His only Son, that whoever believes in Him should not perish, but have eternal life. In the midst of that “whoever” are two very special groups who occupy a very special place in that heart of love. Widows and orphans (often called the fatherless). 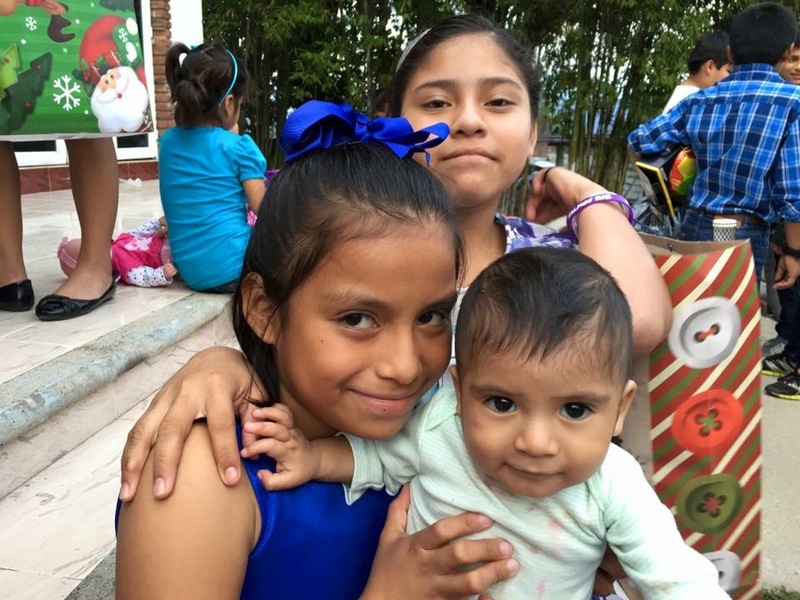 We have just returned from the orphanage in Chiapas in an attempt to express the love that God has for these beautiful children. We spent about 2 1/2 hours in a large store, much like a Walmart, with approximately 85 orphans. There we bought them everything they needed and much of what they wanted. Each child was allowed to pick out their own clothes. We then took them to a Burger King for lunch. While they returned to the orphanage, we went to another store and bought more gifts for all of them. In the middle of the afternoon, we returned to the orphanage and had a Christmas party. Thirteen friends from the US came along to help. I want to thank them for their many hours of hard work. I want to thank all who contributed financially, helping to make this a very special time for the children. And I want to say a very special thank you to Paul and Judy Pogue for heading up this entire trip. 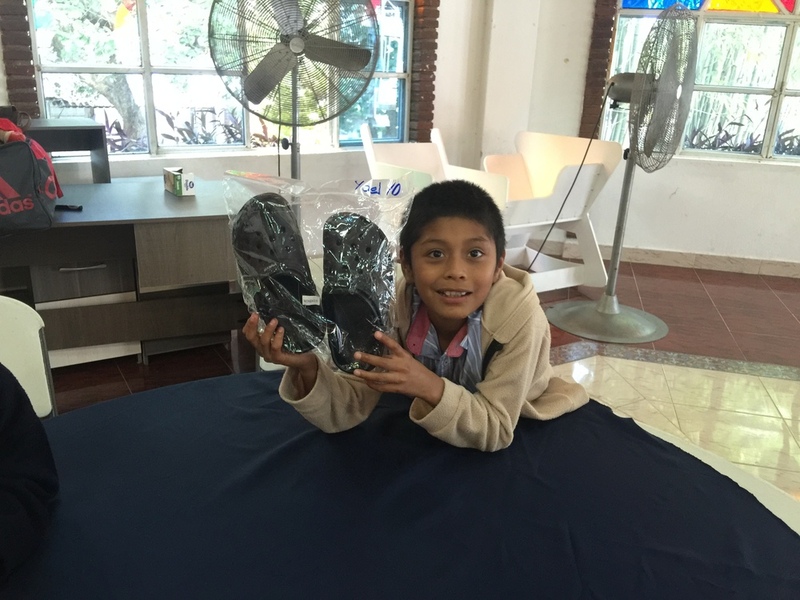 After our time at the orphanage we went to the mountains, where we visited a number of churches and blessed them with hundreds of pairs of shoes and 700 gift bags. You may read this letter quickly, but please take a few moments to let the following photographs sink in. Each of these orphans has their own story. Some were abandoned at birth. Some were abandoned at one or two years of age. It really doesn’t matter what their ages. All were abandoned. 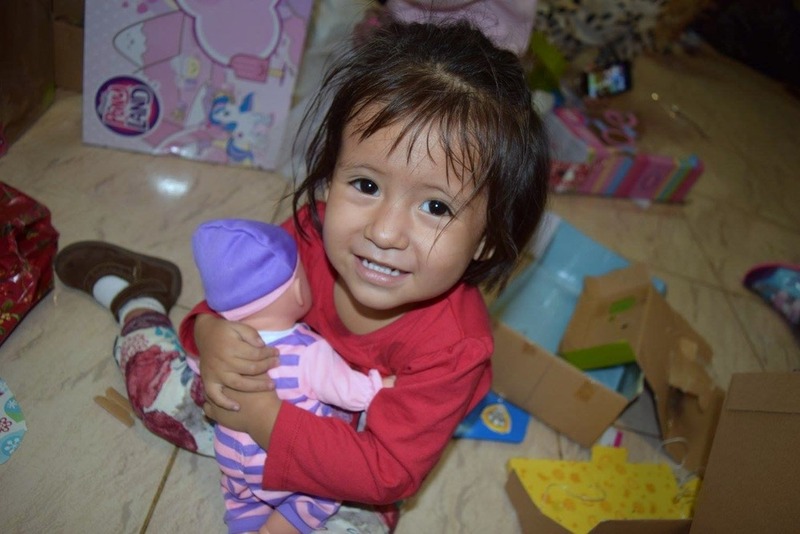 With God’s help, and the help of the orphanage, they will never be abandoned again. I want to sincerely thank all of you who helped make 2015 a special year for so many people. God bless you! And may 2016 be one of your best years ever! Greetings from Atoyac, a small town on the western side of Mexico, about an hour northwest of Acapulco. Today is January 23. 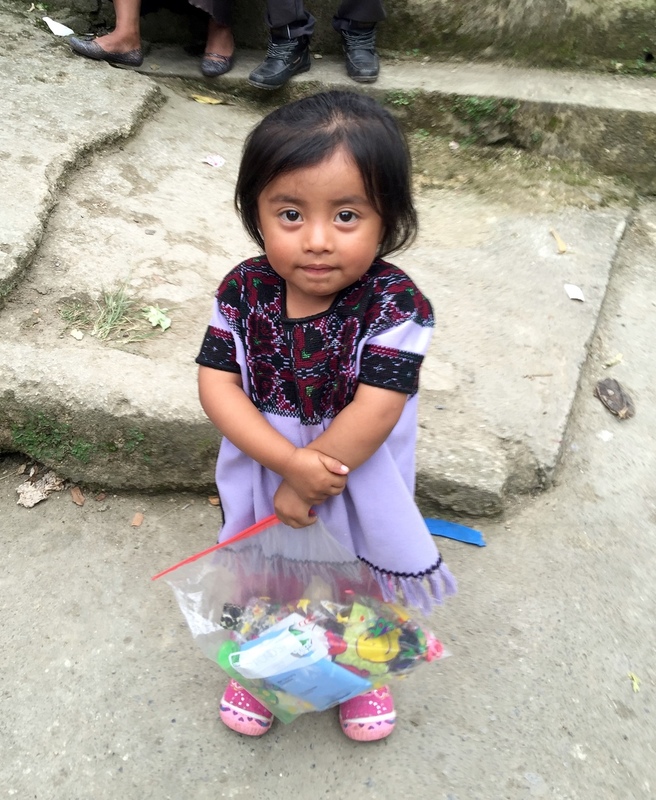 I arrived Thursday from Chiapas, where we had just concluded a week of ministry. We had a Women’s Conference with a group of ladies from Preston Wood Church of Dallas. The group was headed by Judy Pogue, who did an incredible job of ministering. Thursday, the group and my wife, Mary Lou, returned to Dallas, and I came here to Atoyac to check on the medical clinic and churches. I am sitting on the porch of the small house that I built some 32 years ago having coffee with Tom Shaffer, director of the medical ministry and Julio Maya, my first convert here in the early 1980s. The clinic looks great, and the Atoyac church looks fantastic. The people doubled the size of the auditorium. I will return home on the 25th, and two days later I will be in the Northern area of Mexico, again doing the same thing. Visiting pastors and their churches. After this, I return home for about a week, and then back to Chiapas. Some may ask “Do you ever get tired?” Physically, sometimes. Mentally, no. There is still so much to be done. Pastor Dan Dean of the singing group Philip Craig and Dean was with us in Chiapas a year or so ago. He had come to visit the church that he had financially built. As he looked at the building and the congregation, he said, “Why was I born in the United States where we have so much and the people here have so little?” I think the answer to that question is in order to help fulfill Isaiah 61. To take Good News to the afflicted, bind up the brokenhearted, proclaim liberty to the captives and freedom to prisoners. Also, “Pure and undefiled religion in the sight of our God and Father, to visit orphans and widows in their distress. (James 1:27) You will notice on the back of this letter a picture of one of our favorite orphans. Seleni is 15 years old. She cannot speak, but she can smile and pray. God understands her smiles and her unspoken prayers. I will not bore you with a long letter. Let me just tell you that today is a very special day for me. Looking back over these last 39 years. Remembering the days of hard work and sweat, constantly praying for financial help to keep the work going. Every once in a while, God would leave a little nugget, much like what the Word describes in Ruth 3. “As Ruth was gleaning in the field of Boaz, he said to his harvesters, ‘let her glean among the sheaves, and do not insult her, and also pull out for her some grain from the bundles and leave it that she may glean. And do not disturb her.’” Another translation says, “handfuls on purpose”. Last week, God dropped another little nugget for me. A young man, perhaps 30 years old, was on his knees praying at the end of the service. I knelt by him and prayed with him and for him. When he stood up, I saw a puddle of tears on the floor. I do not know his need, but I am sure that our Lord knows and will help. That’s what drives me onward. That, and knowing that you care too. Greetings on this, the last month of the year. 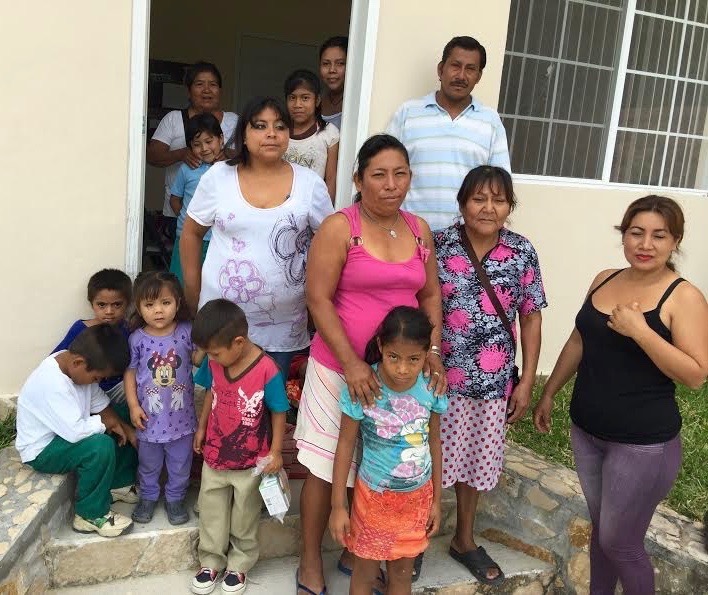 2015 was a great year for Mexico Ministries. I would like to have 20 more years just like this last one. Psalm 33:1 says, “Behold, how good and pleasant it is for brothers to dwell together in unity.” I was born into a family of 12. Mom, Dad and 10 children. A big family with lots of faults and failures, but we chose to bury those faults and failures and live in unity. How good and pleasant it is for families to dwell together in unity. My immediate family ... my wife, my sons and their families ... also have faults and failures, but we choose to bury our faults and failures and live together in unity. My extended family numbers in the thousands. Again, we all have faults and failures, but we too choose to bury our faults and failures and live in unity. Keith Richards said that he had not spoken to his father in 20 years when they finally settled their differences. And for the next 20 years, Keith took his father with him as he toured around the world. Both of them were happy to be together. How good and pleasant it is for fathers and sons to dwell in unity. Jacob was fleeing for his life with his brother Esau promising to kill him. A showdown came 20 years later when they met on the road. Surely, much blood would be shed, and many lives lost. But Jacob bowed before Esau and Esau ran to Jacob and embraced him, kissed him and wept. How good and pleasant it is for brothers to dwell together in unity. Joseph had every right to be angry. His brothers had every right to be afraid when they heard him say, “I am your brother Joseph, whom you sold into Egypt.” Joseph kissed all of his brothers and wept and the Egyptians heard him cry. How good and pleasant it is for brothers to dwell together in unity. The old pastor, trying to settle the back-biting and gossip in his church, told the story of a cat dying and being buried, leaving his tail unburied. Every once in a while, someone would grab that tail and pull that cat up out of the ground. Each time the stench would be stronger than before. The pastor said, “It is time to bury the cat, tail and all.” That’s what Laban, Jacob, Esau, Joseph and Keith all did. They buried the cat, tail and all. Next week, I will be in Chiapas with some wonderful friends who have great hearts of compassion. Together, we will take about 80 orphans to a clothing store and let them pick out clothing and shoes and anything else they need or want. Later, we will take them to a restaurant for food, and then later we will return to the orphanage and have a Christmas party, giving gifts to all. I pray your Christmas will be as compassionate as ours. Embrace, weep and kiss. We are here today. But will we all be here next Christmas? We wish you and wonderful and blessed Christmas.